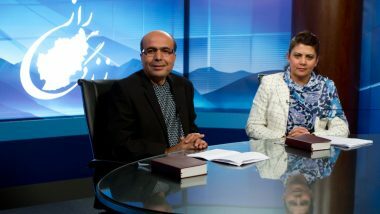 Free Souls now joins the Algerian worship and Bible teaching programme, My Church, as the second SAT-7 programme broadcast in the Kabyle language with Arabic language subtitles. The testimonies shared on Free Souls give viewers hope that they, too, can experience the freedom that comes from the miraculous work of the Holy Spirit in the lives of individuals. 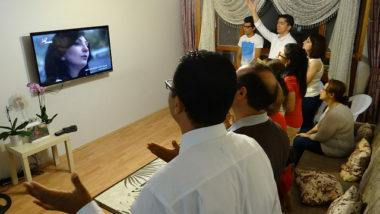 Pray for Free Souls and that the testimonies shared on the programme will give viewers hope that they, too, can experience the freedom that comes from the miraculous work of the Holy Spirit. Programmes being developed for North African viewers, particularly those in Algeria and Tunisia. Pray these will be helpful to believers and in building up the Church in these countries. Praise God for the opportunity to broadcast across the Middle East and North Africa! Praise Him for countless numbers of Christians who have been helped, encouraged and built up, and for those who have heard about Jesus for the first time through SAT-7.